J = imreconstruct(marker,mask) performs morphological reconstruction of the image marker under the image mask, and returns the reconstruction in J. The elements of marker must be less than or equal to the corresponding elements of mask. If the values in marker are greater than corresponding elements in mask, then imreconstruct clips the values to the mask level before starting the procedure. You optionally can perform morphological reconstruction of 2-D images using a GPU (requires Parallel Computing Toolbox™). For more information, see Image Processing on a GPU. J = imreconstruct(marker,mask,conn) performs morphological reconstruction with the specified connectivity, conn.
Read a grayscale image and display it. Adjust the contast of the image to create the mask image and display results. Create a marker image that identifies high-intensity objects in the image using morphological erosion and display results. Perform morphological opening on the mask image, using the marker image to identify high-intensity objects in the mask. Display results. Read a logical image into workspace and display it. This is the mask image. 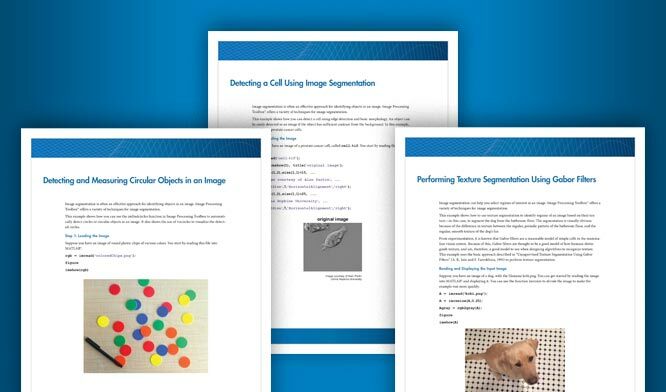 Create a marker image that identifies the object in the image you want to extract through segmentation. 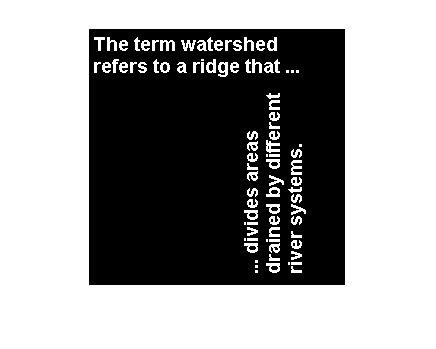 For this example, identify the "w" in the word "watershed". Perform segmentation of the mask image using the marker image. Read mask image and create gpuArray. Perform the segmentation and display the result. 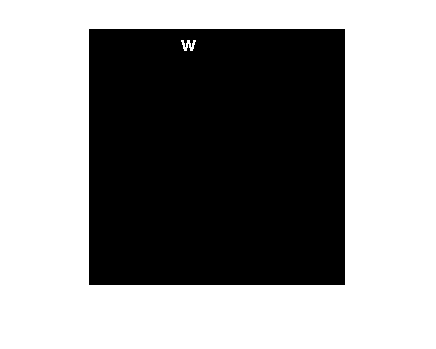 Input image, specified as a numeric or logical array. To perform the morphological reconstruction using a GPU, specify marker as a gpuArray that contains a 2-D numeric or logical matrix. imreconstruct does not support RGB images and 3-D images on a GPU. Mask image, specified as a numeric or logical array of the same size and data type as marker. To perform the morphological reconstruction using a GPU, specify mask as a gpuArray that contains a 2-D numeric or logical matrix. imreconstruct does not support RGB images and 3-D mask images on a GPU. Pixel connectivity, specified as one of the values in this table. The default connectivity is 8 for 2-D images, and 26 for 3-D images. Pixels are connected if their edges touch. The neighborhood of a pixel are the adjacent pixels in the horizontal or vertical direction. Pixels are connected if their edges or corners touch. The neighborhood of a pixel are the adjacent pixels in the horizontal, vertical, or diagonal direction. For higher dimensions, imreconstruct uses the default value conndef(ndims(marker),'maximal'). Connectivity can also be defined in a more general way for any dimension by specifying a 3-by-3-by- ... -by-3 matrix of 0s and 1s. The 1-valued elements define neighborhood locations relative to the center element of conn. Note that conn must be symmetric about its center element. See Specifying Custom Connectivities for more information. Reconstructed image, returned as a numeric or logical array, depending on the input image, that is the same size as the input image. If the morphological reconstruction is performed using a GPU, then J is returned as a gpuArray that contains a numeric or logical matrix. Morphological reconstruction is the algorithmic basis for several other Image Processing Toolbox™ functions, including imclearborder, imextendedmax, imextendedmin, imfill, imhmax, imhmin, and imimposemin. Performance note: This function may take advantage of hardware optimization for data types logical, uint8, uint16, single, and double to run faster. Hardware optimization requires marker and mask to be 2-D images and conn to be either 4 or 8.
imreconstruct uses the fast hybrid grayscale reconstruction algorithm described in . Vincent, L., "Morphological Grayscale Reconstruction in Image Analysis: Applications and Efficient Algorithms," IEEE Transactions on Image Processing, Vol. 2, No. 2, April, 1993, pp. 176-201.
imreconstruct supports the generation of C code (requires MATLAB® Coder™). Note that if you choose the generic MATLAB Host Computer target platform, imreconstruct generates code that uses a precompiled, platform-specific shared library. Use of a shared library preserves performance optimizations but limits the target platforms for which code can be generated. For more information, see Code Generation Using a Shared Library. When generating code, the optional third input argument, conn, must be a compile-time constant, and can only take the value 4 or 8. Inputs must be 2-D, supporting only the 2-D connectivities (4 and 8).